Hello all! 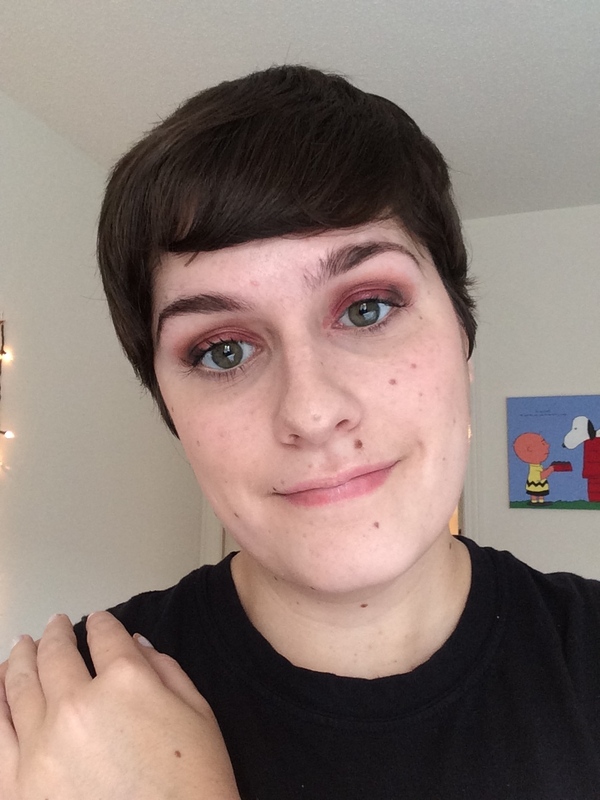 I just got a lovely cranberry eyeshadow from Colourpop recently and I thought it was the perfect time to showcase how to add colors to your eyeshadow this fall. Read on for more! My first look was focused around the Colourpop eyeshadow in Drift. I started by patting the color on the middle of my lid, then blending a warm brown into the crease. I finished with a mix of dark brown and black into the outer corners. When working with color, I suggest using blacks to intensify the eye. I finished with mascara for the look below. My other look is focused around purple, because that is a flattering color on my eyes. It is also easily one of the most wearable colors that isn’t neutral. I started with an almost white purple in the inner corner, a darker one in the middle, and much darker purple in the outer corner. I added a bit of black liner for definition as well. Those are my two color looks for this fall season! I’ve been enjoying straying away from the neutrals lately, and I hope these ideas will help some of you out. Let me know if you want tutorials in the future! Don’t forget to follow me on social media! This entry was posted in Tutorial and tagged burgundy eyeshadow, colorful eyeshadow tutorial, fall colorful eyeshadow. Bookmark the permalink.